When celebrities float down the red carpet at the Oscars, it’s simply the means to an end: Get to your seat, get your award. When celebrities float down the red carpet at NYC’s Met Ball, the annual fundraising gala to benefit the Metropolitan Museum of Art’s famed Costume Institute, the carpet IS the award. It’s the place where fashion and beauty have no limits, where stars are born, and glam gals Katy Perry and Cara Delevingne get coiffed to the nines…by US. Come see! First up was a cocktail of Joico Color Intensity Color Butters in Purple Mauve and Pink Rose — together they morphed into the perfect shade to compliment Cara’s pink cheeks and lips. Next, Mara applied the mixture to Cara’s damp hair, let it sit for five minutes, then rinsed it out thoroughly. A rough blow dry followed to keep volume and texture intact (important, so Cara’s hair could be seen above the peek of her headpiece). 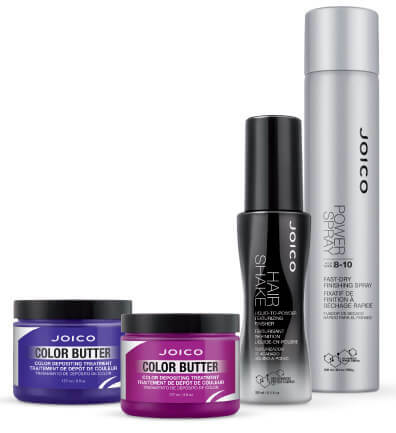 Once hair was dry, Joico Hair Shake Liquid To Powder Texturizer was applied, so Mara could sculpt the hair and give it movement. Once Cara was dressed and the crown was placed, Mara sprayed her hair all over with Joico Power Spray Fast-Dry Finishing Spray for extra hold. Joico Guest Artist, Rick Henry, is no stranger to Katy Perry’s outrageously fun style — after all, he’s her personal hair pro for the Witness Tour. He’s also the man who knows that there’s no such thing as tame for his “mane” client. So when Katy decided to fly against convention and wing things up for her red-carpet appearance, he sprang into action and gave her the perfect pale blonde ‘do to accompany her gold get-up. Color came first. In this case, Blonde Life Lightening Powder with 20 Vol LumiShine Developer on the roots. Rick let that process for 35 minutes. Next was a mix of Blonde Life Lightening Powder with 10 Vol LumiShine Developer to bring up the intensity of Katy’s ends. That was applied and processed for the final ten minutes. The finish was a toner of ½ 10SB and Clear. Now it was onto the styling: After towel-drying Katy’s short pixie cut, Rick applied Heat Set Blowout Perfecting Crème to safeguard hair from heat damage. 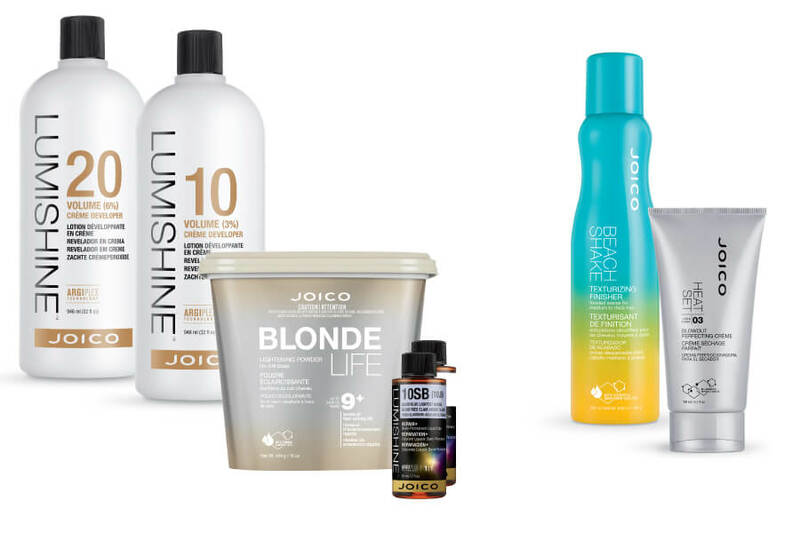 Once hair was dry, it was on to Joico Beach Shake, which provided glam texture, satiny hydration, and that perfectly “imperfect” separation to create the piece-y “rock angel” mega hit.